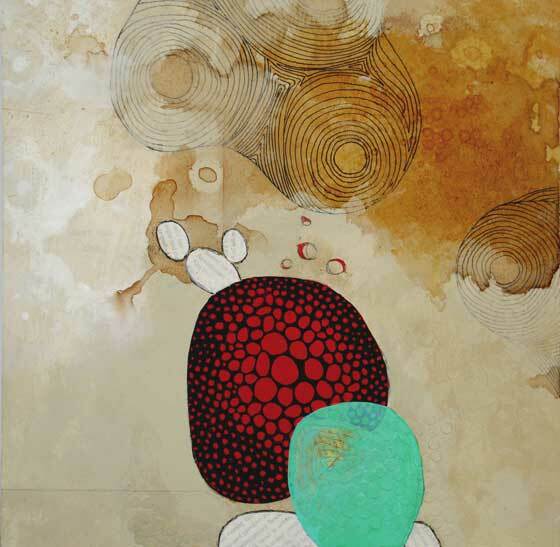 Lisa Occhipinti is an artist that creates these interesting paintings "multi-layer" with abstract patterns, lines and textures. 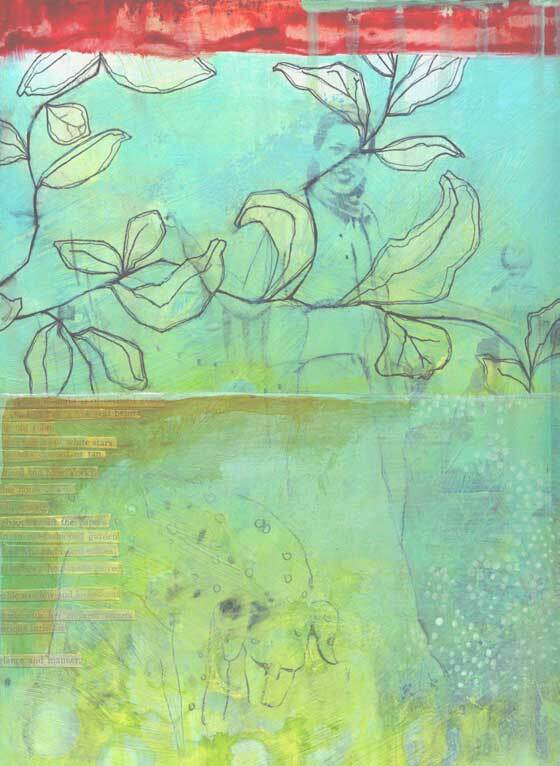 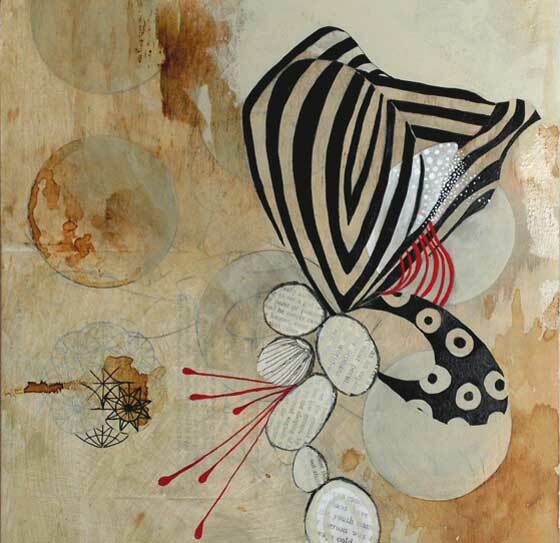 In her works she uses together painting, collages, graphite. 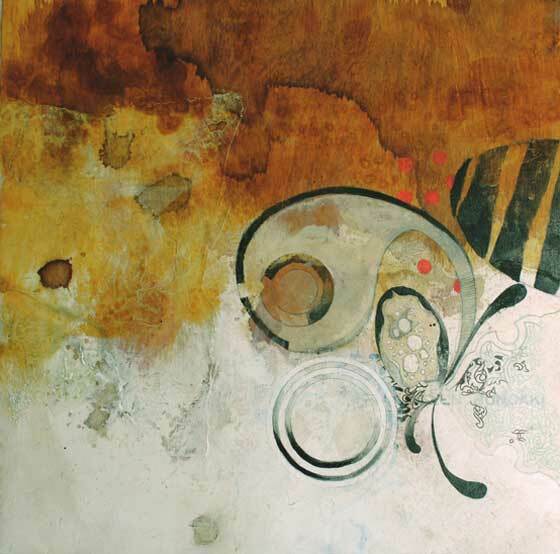 Her works are inspired to geometries and organic shapes and structures. 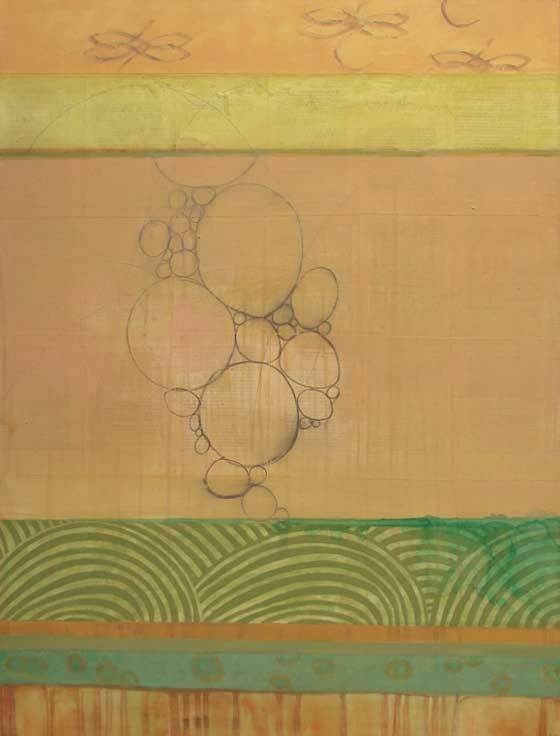 She uses a lot of round forms, symbol of natural and time loop.